In what the media has dubbed America’s “quiet drug epidemic,” heroin use has climbed in nearly every demographic group and has doubled among women and non-Hispanic whites. By 2013, 517,000 Americans reported using heroin in the last year or admitted to a heroin-related dependence—a 150% increase since 2007. Evidence indicates that this trend is in part a consequence of an addiction developed with narcotic painkillers legitimately prescribed to patients who later shifted to injecting heroin as a cheaper alternative. Philanthropists who want to prevent deaths can fund community harm reduction centers that dispense a lifesaving medication that reverses overdoses, as well as distribute clean syringes to prevent the spread of HIV. This work receives some public support, but training, advocacy, and clean syringe programs are rarely covered by public dollars. Philanthropy can make it easier for such centers to operate in areas where they are needed. Community harm reduction centers prevent fatal overdose and the spread of HIV through overdose prevention kits, training, and the provision of clean syringes. In 2013 alone, nearly 25,000 people died of an opioid overdose, a 400% increase in fatal overdose rates in just over a decade. And as the rate of injection drug use rises, so does the risk of HIV transmission. The good news is that we know how to help. A medication called naloxone reverses opioid overdoses, and clean syringes prevent the spread of HIV and other blood-borne infections without increasing drug use. Programs such as Prevention Point Pittsburgh, Prevention Point Philadelphia (no relation), and the Harm Reduction Coalition distribute naloxone and clean syringes. The programs also teach drug users how to reduce their risk of overdose and infection. Additionally, programs like these often provide other needed services such as care for infected wounds and referrals to addiction treatment centers. Many of these programs also work with policymakers to educate the public about the rising toll of heroin and how naloxone and clean syringes can help. Communities implementing naloxone distribution programs have seen a 70% decline in overdose deaths. In 2013 alone, naloxone programs distributed naloxone and training to nearly 38,000 participants who went on to reverse over 8,000 overdoses. Put another way, for every five persons trained nationally, approximately one overdose was reversed. Meanwhile, clean syringes have prevented thousands of HIV infections. Today, 8% of U.S. HIV infections were from unsafe injections, down from 30% in the late 1980s thanks to clean syringe programs. 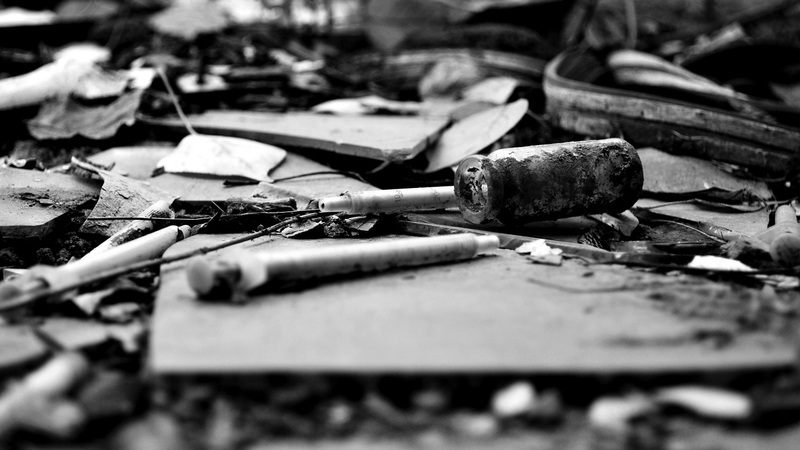 Eight different reports commissioned for the U.S. government and the World Health Organization found that clean syringe programs not only reduced the spread of HIV, but also did not lead to increased drug use. Groups like the Harm Reduction Coalition educate policymakers about the economic and social return on investment in these programs, paving the way for them to operate safely and legally wherever they are needed. The Harm Reduction Coalition also offers training and support to new programs, but limited funding makes it difficult for them to meet national demand for their assistance. To find naloxone and clean syringe programs in your community, visit South Boston Hope & Recovery Coalition’s national naloxone database or North American Syringe Exchange Network. Look for centers that distribute directly to people who inject drugs. Distributing directly to users makes it more likely that overdose prevention kits and clean syringes will be in the right place at the right time, leading to more infections prevented and lives saved. Programs should also adhere to accepted best practices: no limits on the number of syringes a user can obtain, no requirements for identification or other legal documents, and provision of other health services tailored to the needs of the local community. Harm Reduction Coalition (HRC) works in states and at the federal level to advance support of overdose prevention and clean syringe access. It also provides capacity-building services to state agencies and nonprofits seeking to implement programs in their own communities. For example, HRC’s recent work in Colorado helped create three new naloxone distribution sites. In April 2015, one site distributed 400 kits and reported 155 overdose reversals since its start in May 2012. HRC also piloted overdose prevention within the San Francisco County Jail, placing naloxone kits in trained inmate’s property for access upon release. By July 2014, almost 200 inmates had opted to receive naloxone kits in their property. Visit HRC’s Get Involved webpage for ways to donate, or help in other creative ways such as performing at a fundraiser, hosting an event, or sponsoring a charity walk/run. Prevention Point Pittsburgh (PP Pittsburgh) distributes naloxone directly to drug users in the community and trains them to reduce overdose risk, recognize overdose signs, and reverse overdoses. In just under a decade, PP Pittsburgh dispensed 2,298 naloxone kits to 1,175 individuals, leading to a reported 1,167 successful overdose reversals. Roughly 1 in 15 of those would have been fatal. For PP Pittsburgh the cost of training and naloxone together ranges from $40 to $55, which means that for $1,200 to $1,600—about the cost of the average yearly cable bill—they can save a life that would have been lost to painkillers or heroin. Nationwide, the cost of naloxone can vary from $12 to $75 per kit, depending on the location, formulation, and training costs. You can contribute to PP Pittsburgh via its donor page or by enrolling in Amazon’s Smile program that gives a portion of your purchases as a donation. Prevention Point Philadelphia (PP Philly, unaffiliated with Prevention Point Pittsburgh) serves more than 4,500 regular clients and distributes some 1.5 million syringes each year. It also provides HIV and Hepatitis C testing services, rudimentary healthcare (including a wound clinic requested by its clients), naloxone and overdose prevention training, case management, and referrals to social services and drug treatment. In addition, PP Philly offers auxiliary services to meet local needs. For example, in 2015, the organization partnered with a local shelter organization to provide 25 emergency beds for homeless men. Clients can also use PP Philly as a mailing address. The organization has a team of 15 paid staff and approximately 200 volunteers operating out of a fixed site in Philadelphia’s North Kensington neighborhood, and from six designated locations via its mobile van, all of which is supported by an annual operating syringe program budget of under $400,000. Visit its donations and volunteer page here. For more information on these and other ways to address addiction see Lifting the Burden of Addiction: Philanthropic opportunities to address substance use disorders in the United States.